Right the first time, right every time. 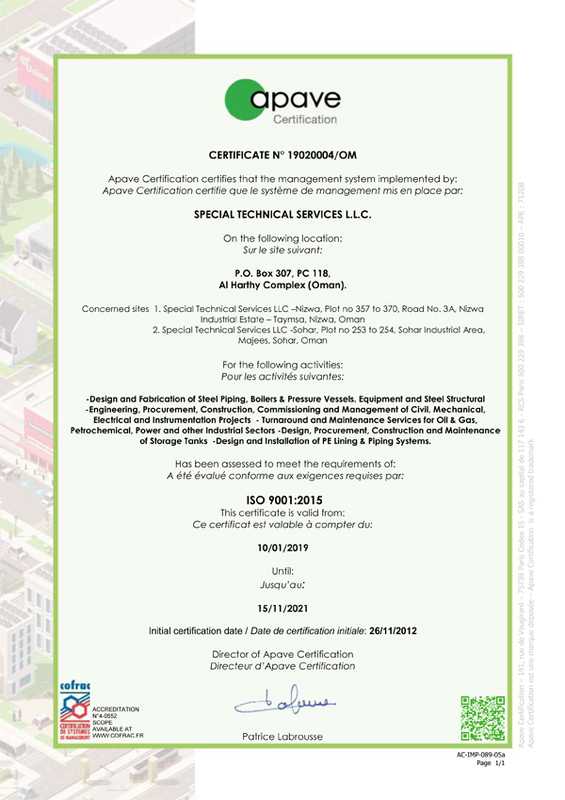 STS operates within a comprehensive framework of systems designed to provide consistent products and services to our customers. 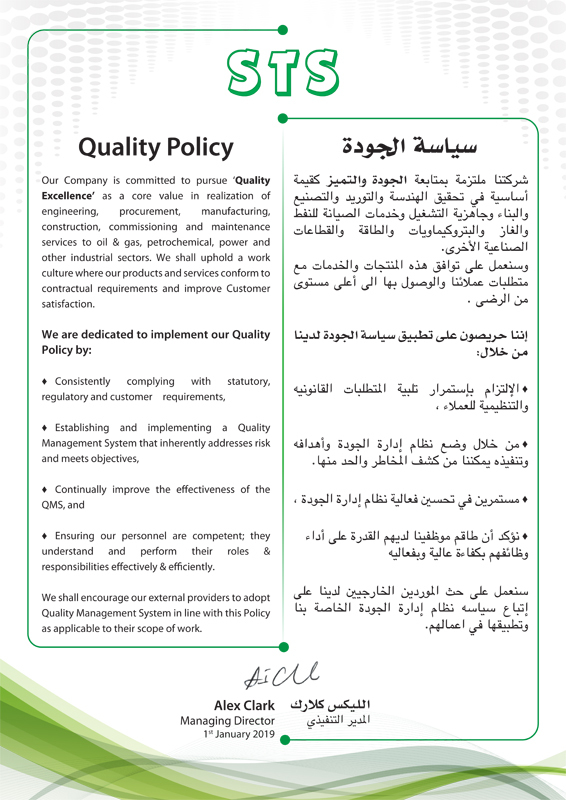 We strive for excellence and are in a continual pursuit of quality improvement in our systems, technology, products and services. 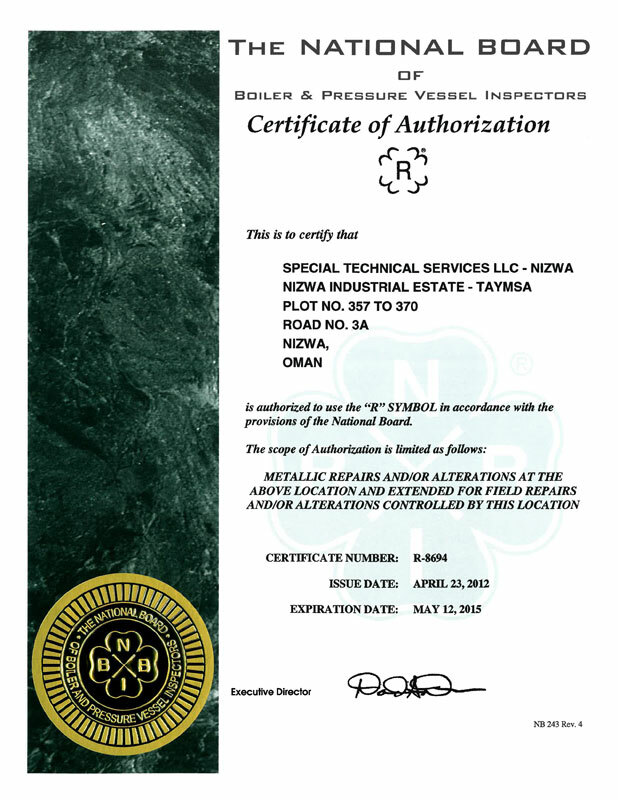 Our team of highly qualified, experienced and competent quality professionals, IRCA Registered auditors, welding specialists, API/AWS/CSWIP/B Gas/ASNT/Ex certified inspection personnel caters to the specific needs of oil & gas, petrochemical, power and other industrial sectors. Our quality management systems are certified to ISO 9001:2015 and ISO/TS 29001:2010 standards. 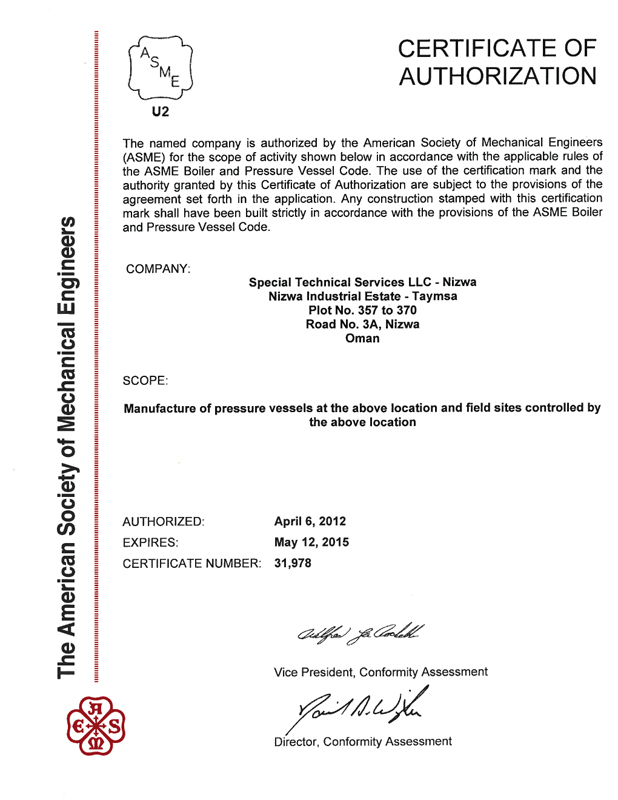 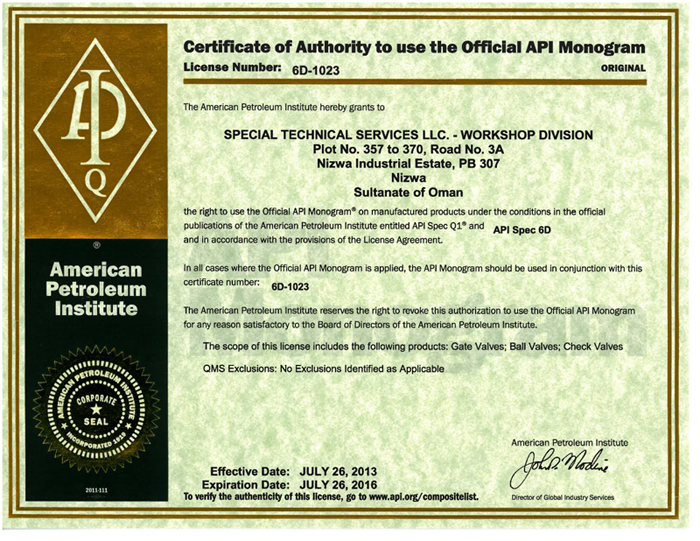 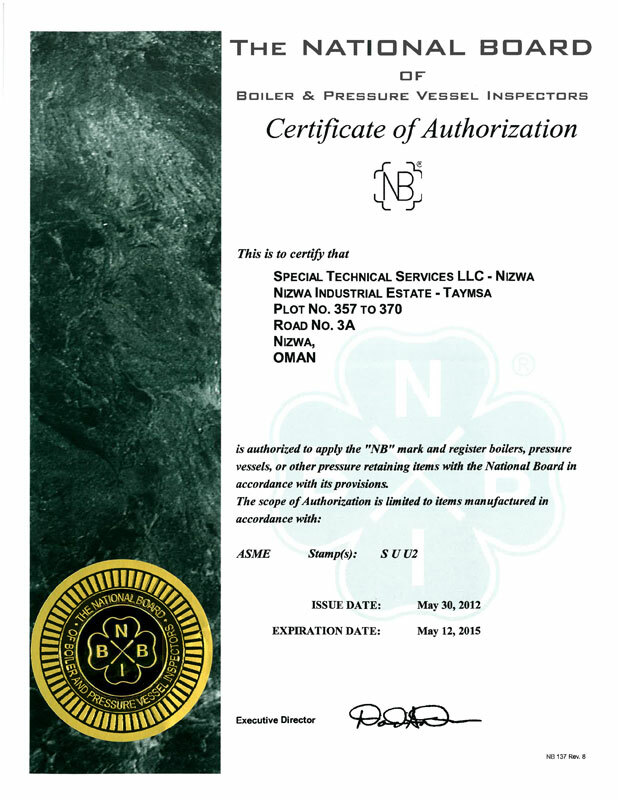 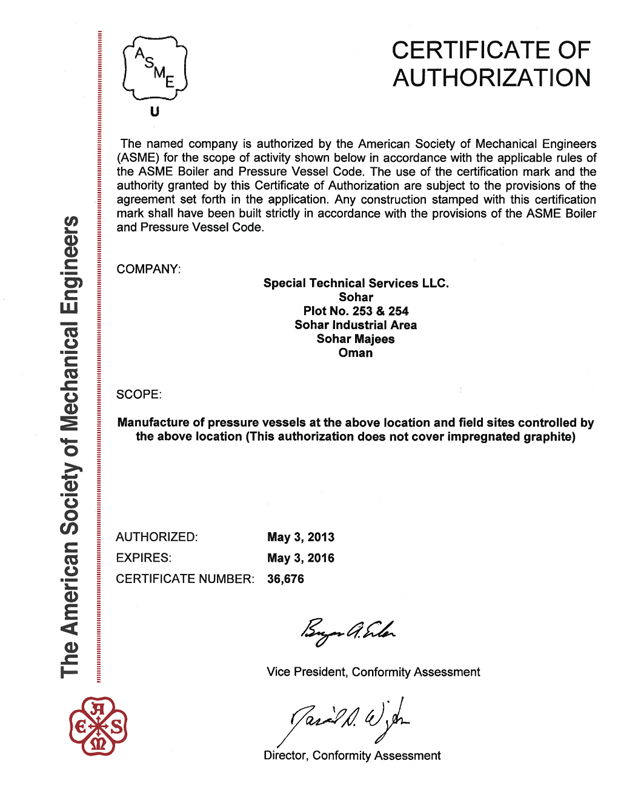 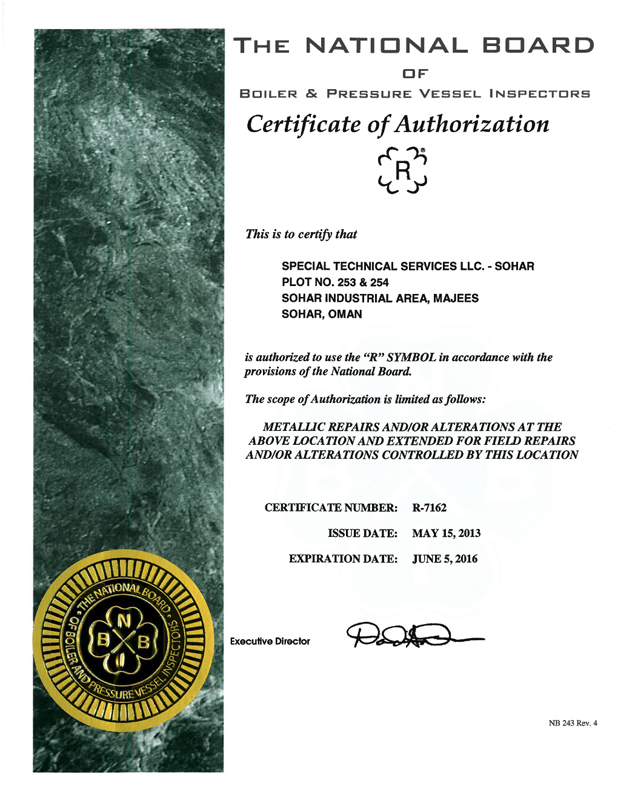 Our fabrication facilities have ASME U, U2, S and PP certificates of authorization for manufacture of boilers, pressure vessels and power piping. 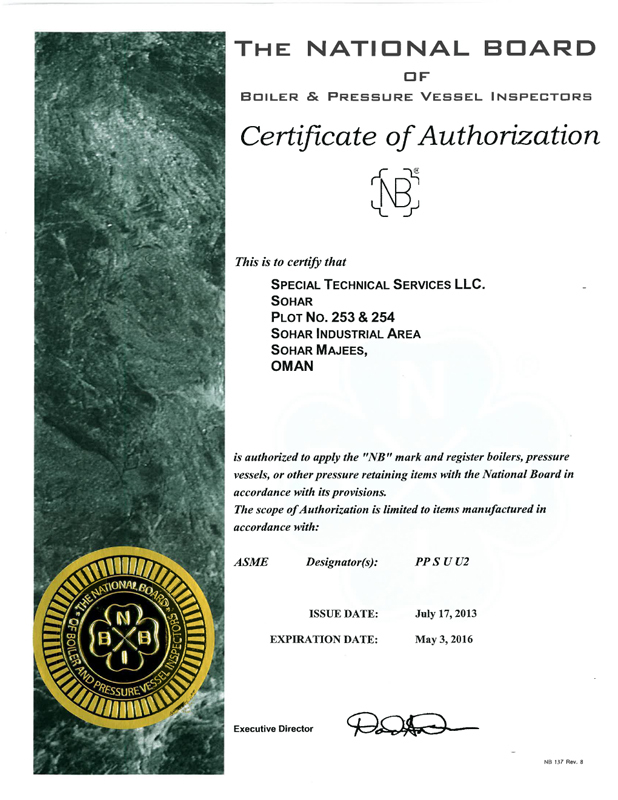 These facilities also have R stamp/certificate of authorization from national board for the repair and alteration of pressure vessels. Our quality management systems have been established applying process approach, risk-based thinking and considering the customer at the center of our business processes. 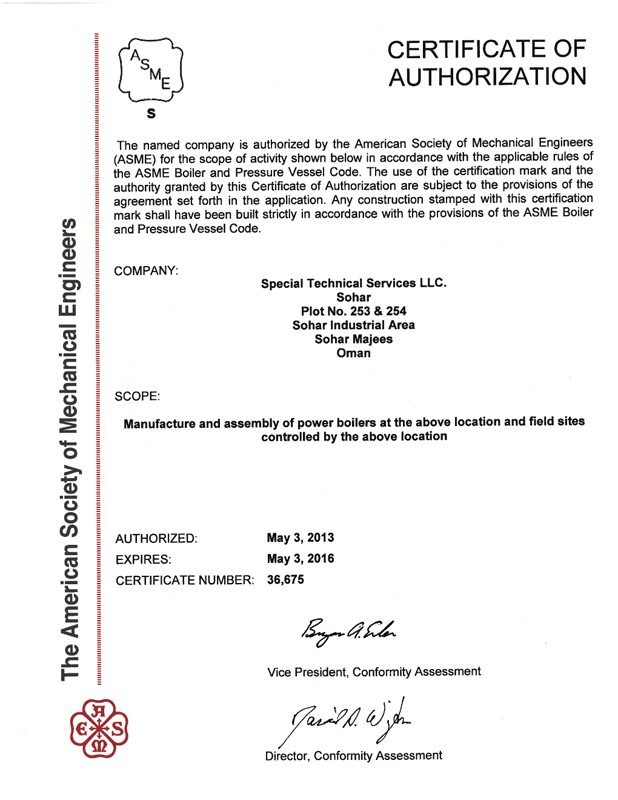 Commitment of STS leadership is the driving force for continual improvement of our processes, products and services. 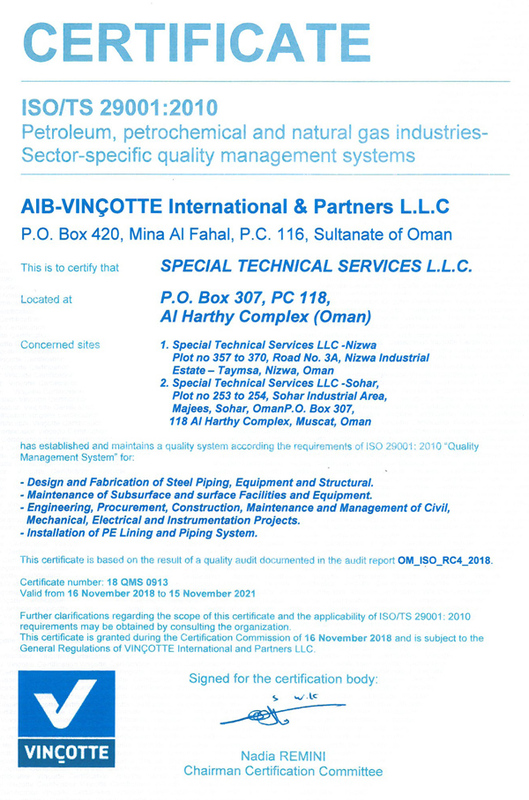 Our Quality department verifies the effectiveness of quality management systems implementation across-the-board by periodic internal audits.